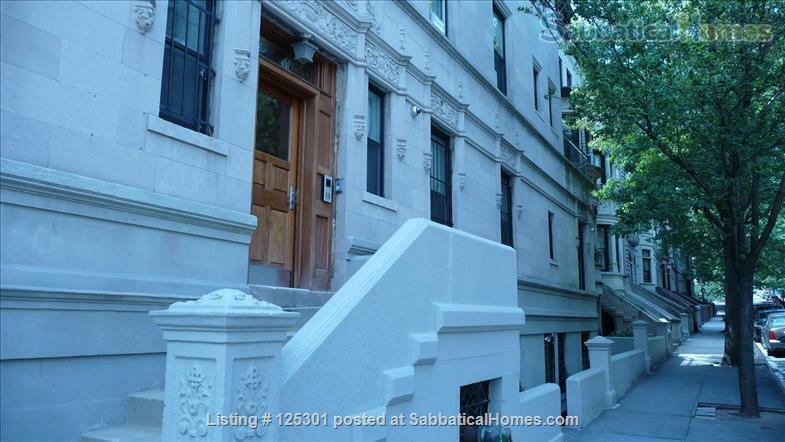 Furnished, sunny one bedroom penthouse located 3 flights of stairs up in a renovated beautiful limestone townhouse on a tree lined block in Harlem's Hamilton Heights/Sugar Hill Historic district. Walk across the street to the A,B,C,D subway train station with easy transfer to the #1 and #4 trains. 15 minutes to Midtown, Rockefeller Center and Times Square. 25 minutes to the West Village. 30 minutes to the financial district. *Flexible terms. Please feel free to ask. *Please include the reason for your move, required lease dates, number of people to live in the apartment, and questions in your initial email. *Maple kitchen cabinets, Food Pantry, granite counters, pots, pans, dishes and more! *Supermarket, Banks, Dry cleaners, Starbucks, Dunkin Donuts, New York Sports Club and many restaurants/cafes within a few blocks. *Near Columbia University, Columbia Presbyterian Hospital, City College, the historic home of Alexander Hamilton, Riverbank State Park, Jackie Robinson Conservancy and Recreation Center. Prorated rent for partial month is negotiable.